If your company is among the one-third of U.S. small businesses with no funds set aside for unexpected expenses, it’s time to work on a remedy. Having a rainy day fund in place to get you through those financial shocks is an essential part of small business financial management. A theft, a natural disaster or an unusually sharp slump in sales can threaten the survival of your business if you’re not prepared. A 2018 MetLife and U.S. Chamber of Commerce survey found that 33 percent of American small businesses have no savings dedicated to dealing with unexpected events that might disrupt their operations. Companies younger than 10 years, retailers and women-owned businesses are most likely to not have a rainy day fund. Read on to understand why a rainy day or contingency fund is an important component of basic financial management for small business owners, how to build a fund for your business, and when you should break into it. It’s not easy to think about adding another item to your budget for unknown expenses when your main concern is keeping up with your regular operating expenses. But when a single unplanned event can suddenly leave you without enough cash to pay bills and cover payroll, it’s too risky not to have a financial plan for emergencies. 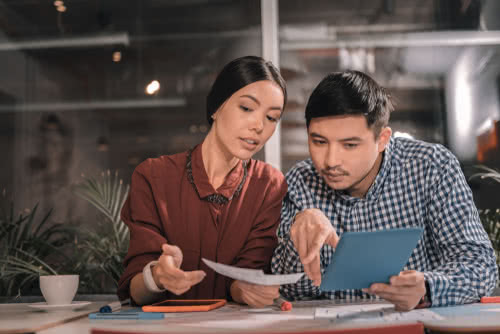 A contingency fund is especially important for newer business owners who are building their budgets and haven’t yet faced any disruptions to their cash flow. If your business is in the early stages, it’s probably a good idea to have an ample “just in case” fund while you’re learning to fine-tune your budget. To figure out how much cash to reserve, start with the general guideline of three to six months of operating costs, but set your specific target to meet the needs of your business. If you own a seasonal business, for example, or one that is especially vulnerable to legal risks, you may need to set aside more money than others. Remember that solid small business financial management relies on sound data analysis. If you’ve been operating long enough to have a record of past expenditures and cash flow, use that information to help determine your future cash reserve requirements. One method of building a contingency fund is to earmark a percentage of your business profits for that purpose. Or you might decide to have a set dollar amount automatically transferred each month from your business checking account to your rainy day savings account. If your current profits are lean, consider giving up a portion of your salary to at least seed a contingency fund. If an emergency comes along and you don’t have enough saved to absorb the financial blow, a working capital loan is another option to help keep your business afloat. Besides helping you cope with an emergency or recover from a business downturn, a rainy day fund can allow you to take advantage of opportunities to grow your business. If your market research tells you that now’s the time to launch a new product or acquire another business, wouldn’t it be great to have some cash at the ready? Of course, it’s when something goes awry that you’ll probably most appreciate having a contingency fund. Think about having to wait for an insurance claim to be processed after a theft or weather-related emergency. A cash reserve will help tide you over until the check arrives. Or you might need to replace a key employee who leaves unexpectedly. That rainy day fund can cover some of your recruitment costs. Creating room in your budget for a rainy day fund may not be easy at times, but it’s a necessity that comes down to basic financial management for small business owners. Make a habit of setting aside money for unexpected expenses, so you’ll be able to handle the next financial surprise without stress. Very useful info specifically the ultimate phase 🙂 I take care of such info much. Thank you for your thoughtful words! We are so happy to hear you find the information useful.